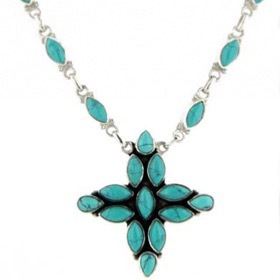 Turquoise necklace with blue topaz and pearl. 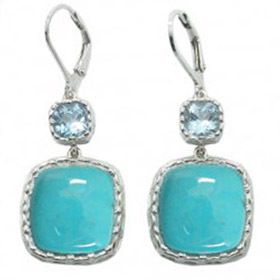 This beautiful combination of favourite gemstones creates a harmonious blend of blue, aqua and turquoise colours set off by the luminous ivory of the pearls. 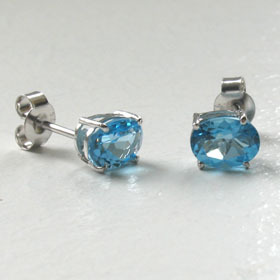 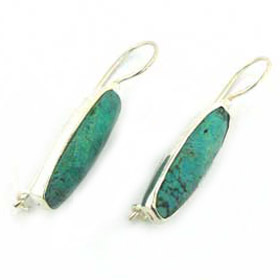 Each gemstone is collar set into a chunky sterling silver frame. 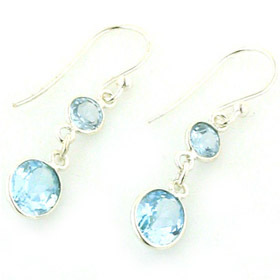 It is created from 7 sections of gemstones joined by a chunky silver link and finished with 2 large oval swiss blue topaz gemstones. 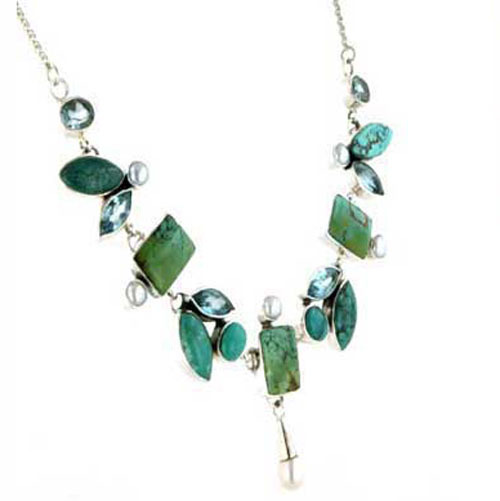 the design makes a great V shape at your neckline and has fluid movement to be wider or narrower depending on your shape and size. 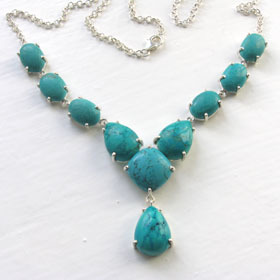 This turquoise necklace is finished with a silver belcher chain and fastens with a lobster claw clasp. 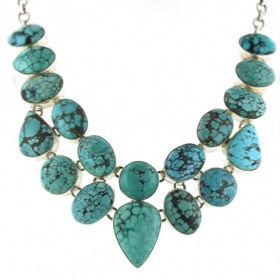 Put this turquoise necklace on and wait for the compliments! 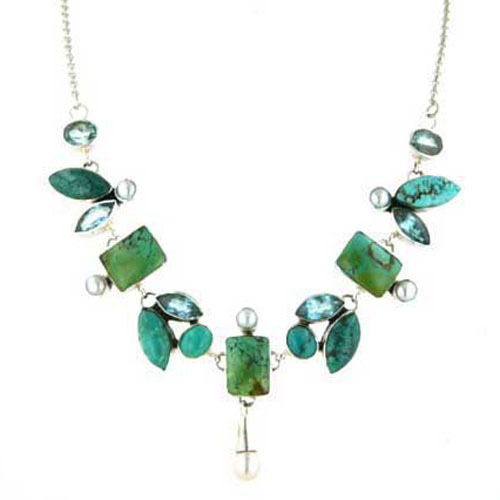 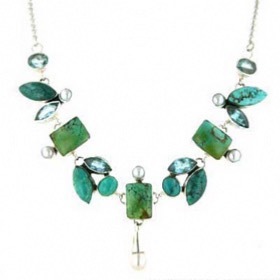 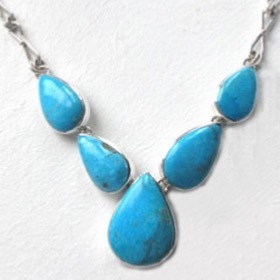 To choose a single stone turquoise necklace, see our turquoise pendants.